Fleetwood Mac’s album ‘Rumours’ is by far my favourite album released by the band. Ok, I admit that I haven’t heard them all yet but this was the first one I bought after watching Mick Fleetwood being interviewed on TV for the 35th anniversary a few years ago. But the music of Fleetwood Mac has always been a part of my life; they are the songs I know and have always known. 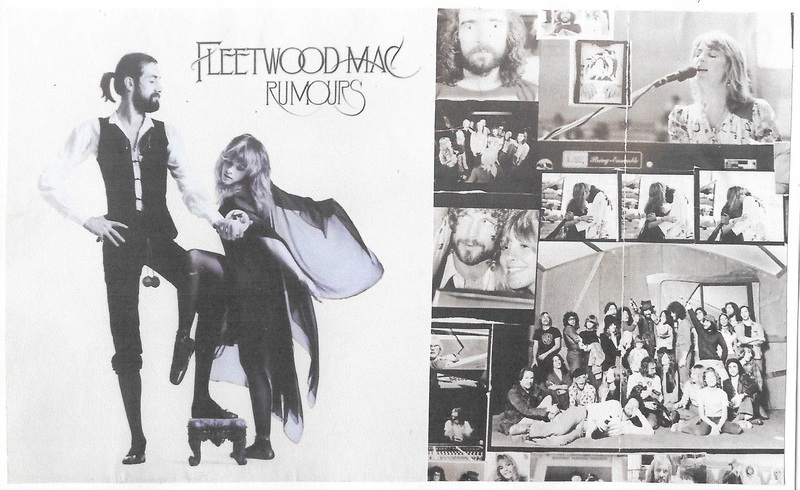 ‘Rumours’, is Fleetwood Mac’s most successful album (I think, don’t take my word for it) and it has sold A LOT of copies. There is also much written about the context of the album and the tensions in the relationships of the band members when it was being recorded. However for me it is simply a great album. 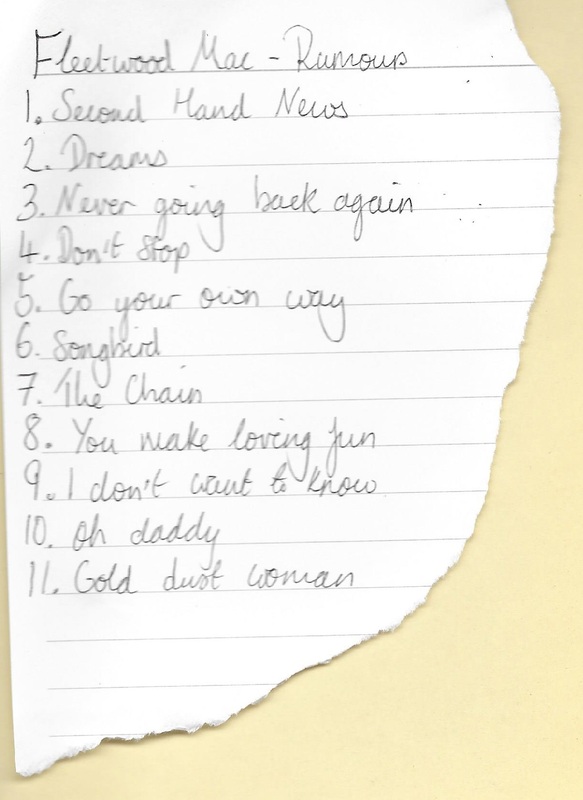 There isn’t a song which I don’t like, although I have favourites (‘Second Hand News’, ‘Go Your Own Way’, ‘The Chain’ and ‘Gold Dust Woman’…I could probably list them all) and the order of tracks is perfect, allowing the songs to contrast and complement each other. The greatness of this album continues visually too with the cover, a piece of art in its own right. I love theatrical pose of Stevie Nicks and Mick Fleetwood; and the layering of a black and white image over the cream background. I saw Fleetwood Mac in concert in June and they were brilliant; they played all the hits, but for me the Rumours songs were the best. L’album de Fleetwood Mac « Rumours » est de loin mon album favori sorti par le groupe. OK, J’avoue que je ne les entends pas encore mais il était le premier que j’ai acheté après avoir regardé une interview avec Mick Fleetwood à la télévision pour le 35ème anniversaire il y a quelques années. 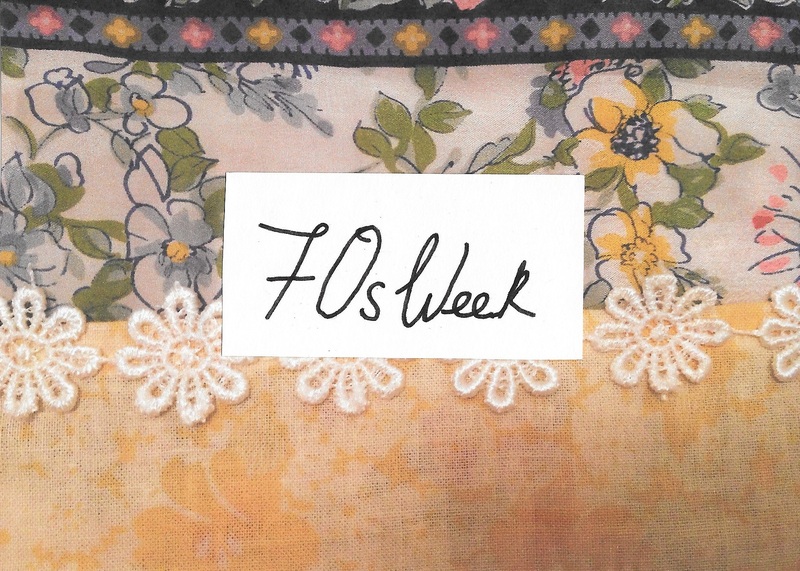 Mais la musique de Fleetwood Mac fait partie de ma vie ; ils sont les chansons que je sais et j’ai toujours su. 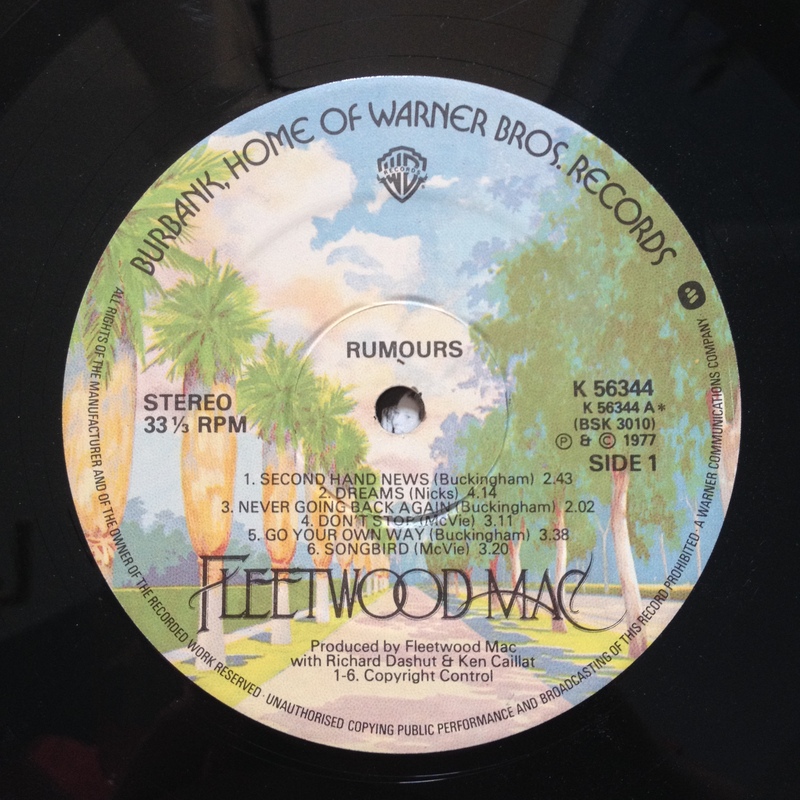 « Rumours », est l’album de Fleetwood Mac le plus réussi (Je pense, ne me croyez pas sur parole) et il est vendu BEAUCOUP d’exemplaires. Il y a aussi beaucoup écrit au sujet du contexte de l’album et les tensions dans les relations des membres du groupe quand il était enregistré. Cependant pour moi il est simplement un album remarquable. Il n’y a pas une chanson ce je n’aime pas, bien que j’aies les favoris (« Second Hand News », « Go Your Own Way », « The Chain » et « Gold Dust Woman »…je pourrais énumérer tous) et l’ordre des morceaux est parfait, il permets aux chansons de s’opposer et se compléter l’un l‘autre. La grandeur de cet album continue visuellement avec la couverture d’album, une œuvre en soi-même. J’adore la pose théâtrale de Stevie Nicks et Mick Fleetwood Mac ; et l’image noire et blanche superposé sur le fond beige. J’ai vu Fleetwood Mac en concert en juin et ils étaient magnifiques ; ils jouaient tous les hits mais pour moi les chansons de « Rumours » étaient les meilleurs.